Our Childhood Is A Lie: Winnie The Pooh Is A Girl!! Winnie The Pooh just came out with some seriously surprising revelations, and everything we knew about our childhood is a LIE. First revelation: Winnie The Pooh, despite the bear’s fuzzy and adorable accent, is not ACTUALLY from England– Winnie The Pooh is Canadian! Winnie The Pooh was based on a real black cub, saved by a Canadian soldier named Harry Colebourn in 1914 from a trapper. The soldier named the cub Winnie, inspired from his hometown of Winnipeg in — you guessed it— Canada! Second revelation: Winnie The Pooh is A GIRL. Colebourn eventually left Winnie The Pooh with the London Zoo, who would soon be frequently visited by a young lad named Christopher Robin. The real Christopher Robin’s dad was A.A. Milne, who is of course known as the author of the Winnie The Pooh books, until it evolved into the character we all know and love. Now excuse us while we sit in a corner and try to let this sink in. What do you think of this? Have you always known that Winnie The Pooh was a girl? 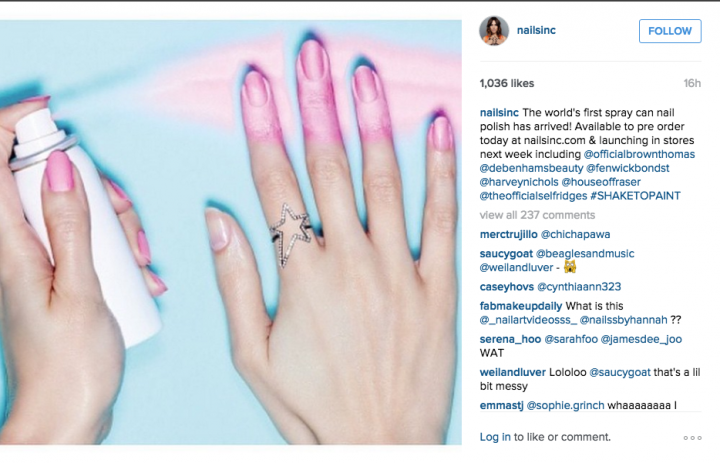 Spray-On Nail Polish Exists And It Is The Future! #OneMoreChance HUGOT: Kasalanan Ng "Chicken Skin"
APOCALYPSE CHILD: This Beautiful Surf Film Will Show In Theatres Soon!